I’ve said it before, and I’ll say it again. Back up! I can’t emphasise how critical it is that everyone needs some sort of backup routine in the eventuality that the worst happens. At least some people have been listening because the external hard drive market has exploded over the past 18 months with new stylish units, lower prices and faster performance. Today I am looking at the Buffalo DriveStation TurboUSB. What makes this drive so special? It’s the TurboUSB that is added to the end of the name that makes it special. Promising to offer faster transfer rates through a USB 2.0 connection of up to 37%. 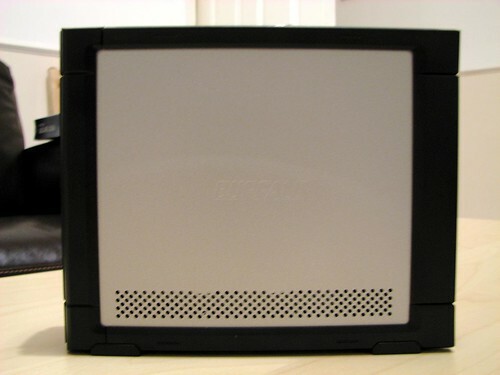 Inside the serious-looking grey enclosure is a fast 7200RPM hard drive with 500GB of storage space (other storage capacities are available from 320GB), the circuitry and the power supply. This is a bonus because many of these external drives require a power brick, but not so with the Buffalo drive, simply plug in the power cord and you’re ready to go. Buffalo have gone for a gun metal grey look that doesn’t really shout for any attention, however the aluminium side panels are a nice touch and actually serves the purpose of a heatsink to keep the drive inside cool. With no fan inside, you do get a quieter drive, however the hum from the spinning drive is still clearly audible, but perhaps less so without a fan. The standard performance benchmark I run on all of the drives includes transferring a 1.07GB file and 1019 files totaling 4.47GB. All tests are run three times in case of any anomalies. 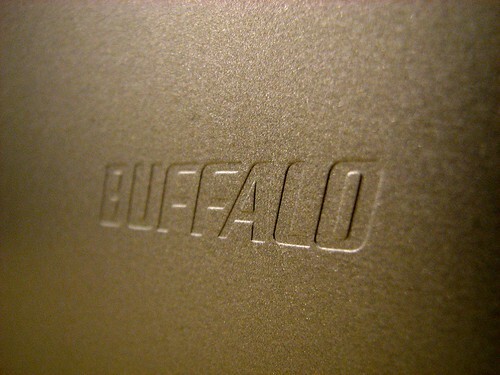 In the first test, the Buffalo drive managed to transfer the 1.07GB file in 44.6 seconds. The second test completed in 3 minutes 32 seconds. Results show that the DriveStation Turbo is on par with similar drives on the market today despite it claiming to be 37% faster than typical USB drives. I only tested the drive on a Mac so wasn’t able to install the ‘magic’ software which is meant to give me this performance boost since it’s Windows only. Further digging around turned up a theory behind how this works. 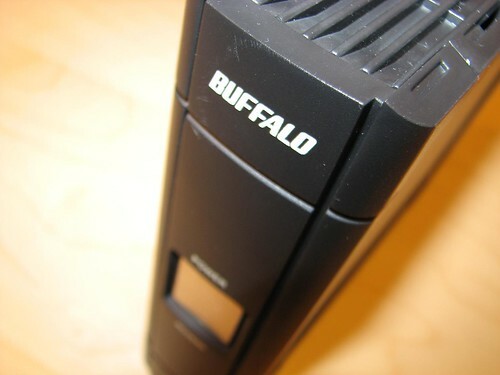 When you install the software, it changes the bandwidth/power allocation to the port that the Buffalo drive is connected to, thus allowing for connection efficiencies to give a better transfer rate. Included with the DriveStation Turbo is back up software from Memeo and Windows-compatible encryption through SecureLockWare, or for Mac users running the latest version of OS X, you can use Time Machine to back up your data on your Mac. 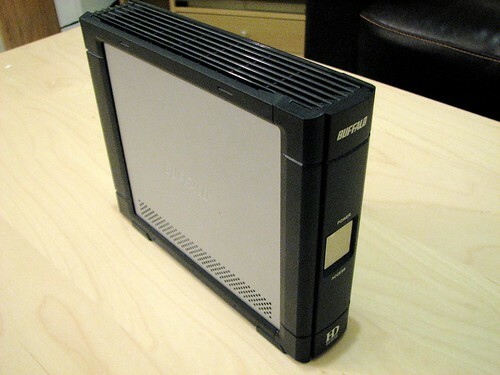 In comparison to other drives, the DriveStation Turbo is more expensive for equivalent storage in competing models, however you do get the bonus features of backup and encryption software included, fanless design for less noise and for Windows users you may also get an extra boost in performance with its enhanced USB mode. However, given that drives around this price will probably include a FireWire connection, you might be better considering these options instead for more throughput.